Aisling Gallagher argues that we must stand up against the human rights abuses committed against Marian Price by the British state. By taking time to properly explain the purpose of NATO instead of swallowing whole its own press releases, James Foley responds to George Kerevan’s case for a pro-NATO Scottish independence in the Scotsman on Friday. Chris Bambery explores the relationship between "spontaneous" working class struggle and revolutionary organisation through the work of Antonio Gramsci. On this day in 1789 the Declaration of the Rights of Man and of the Citizen came into law in Paris. Gareth Beynon looks at the impact of the document and the relevance it has for us today. 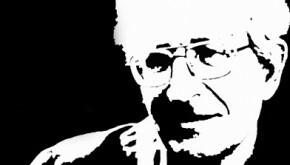 Dominique Graham interviews the world renowned political analyst Noam Chomsky about the Arab revolutions, China, Iran and Palestine. Chris Walsh gives a damning verdict on Damien Hirst's art at the Tate Modern, finding it to be "ideologically transparent" and "lacking in inspiration". Japan and China: what’s going on? Chris Bambery analyses the nationalist spat over a small group of islands between China and Japan. He argues the tensions are rooted in a historic imperial rivalry that is not over.